Robert Mueller is out of control. And now he is desperately trying to confuse the American people by claiming that past Trump company business ventures are somehow related to Mueller’s bogus Russian collusion witch hunt. This confirms beyond doubt that the actual goal of Mueller and his cohorts is to undermine and unseat a duly elected President of the United States. Sign the petition today to help Judicial Watch expose the full truth about this bogus investigation. Undermining and unseating a duly elected President of the United States is not only dangerous to the President himself, but to the rule of law –and to the very fabric of American democracy. 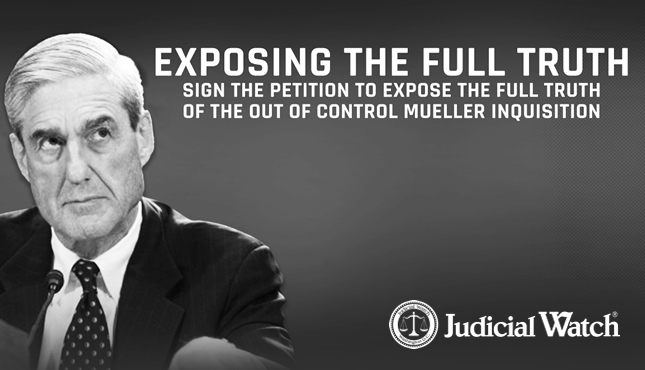 Please sign the petition NOW – and help Judicial Watch expose the full truth about the bogus Mueller inquisition! 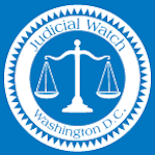 Keep me updated on campaigns from Judicial Watch Don't list my name publicly. *Required to validate signatures on this petition.